We all want to look great, yet a lot of us don't know how. Also, because nobody is perfect, some ladies often opt for makeup to conceal their unattractive features. However, do you need to put on layers of makeup to look attractive? 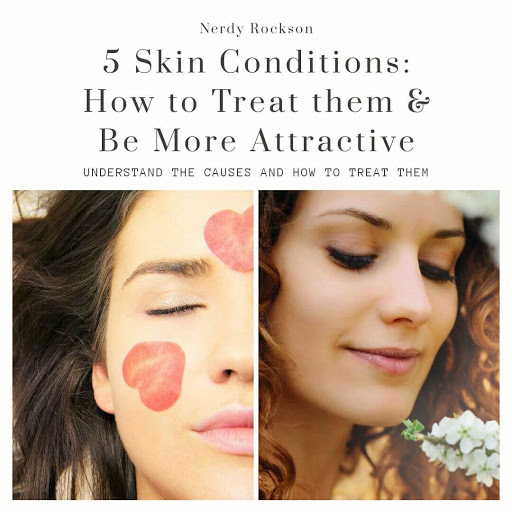 As many often suffer the ill effects of different skin issues, I believe that the key to taking care of such issues is to understand the causes, and know how to cure them without damaging your skin. Wrinkles are an indication of aging and regularly show up in the 50s or mid 40s, yet a few of us start to have these even in our 20s. They likewise show up because of frowning and can be visible on the cheeks, forehead, and neck. Wrinkles can be hard to get rid of, and a lot of people often turn to specialists to undergo laser treatment to get rid of wrinkles. Nevertheless, if it's just starting, then you might be able to get rid of it by using simple ingredients like vitamin C, which is incredible for stimulating the collagen production in your skin. Also there are lots of products in the market that claim to fight wrinkles. Nonetheless, be watchful about what you apply to your skin. The most ideal way ever to deal with wrinkles is to delay their appearance by living a healthy lifestyle; using a sunscreen each and every day, applying a moisturizer, and using natural recipes for treating wrinkles are the most ideal ways to enjoy a beautiful and healthy looking skin. Acne is one of the most common skin problem around the world. 90% of people will face acne sooner or later. Acne occurs because of a few reasons including hormonal changes, and dietary habits. In some cases, it will vanish on it's own. However, it might leave marks that need intervention to get rid of. Tea tree oil is a great method to get rid of acne and acne marks, without the need to expose your skin to harsh chemicals. As indicated by reports, tea tree oil is as effective as benzoyl peroxide, which is used as a part of most acne creams, yet with no side effects, as if using benzoyl peroxide. Other than this, try to use products that are intended for acne-prone skin (usually labeled as noncomedogenic); with the goal that you don't cause a breakout. A direct tip is to keep your skin clean and remove your makeup before going to bed, in order not to let dirt or oil accumulates in the pores and cause breakouts. 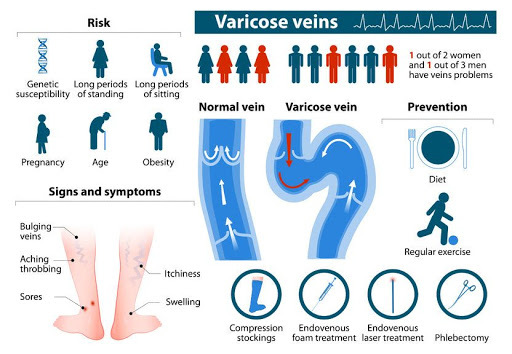 Venous diseases usually happen because of issues with the blood flow. These diseases normally make the veins swell and turn purple or blue. This makes the skin looks exceptionally unattractive, and the condition can be very painful too. Most venous diseases can be treated with drug however some may require endovenous laser treatment. If you or somebody close to you is facing such diseases, then make sure to get more information on endovenous laser treatment. It is a painless strategy that can help you get rid of the issue. When you consider it, eye bags are not a skin condition but rather is an obvious issue that is common too. Eyebags regularly happen because of weakness and a lack of sleep. A normal human requires around seven to eight hours of sleep for every night. The sleep should not be interrupted as awakening amid the night or sleeping at random interval can very bad as well. Other than that, weakness can likewise make these bags to appear. While you can normally treat them by sleeping properly and having a healthy diet, you can improve the procedure by using diverse face massages and creams to treat eye bags. Placing a cold spoon under your eyes for a few minutes could do the trick. You can likewise have a go at using green tea bags, and cucumber, simple, yet effective home remedies for a speedy cure. Moles are extremely common and can be found on any part of the body. While they are typically considered as normal, some of them can get big in size and rise too, causing pain and different issues. Most doctors recommend getting moles removed before they become any bigger. If you have any of these five issues, then make sure to get them treated. Looking great could be as simple as focusing on what you put on your skin and by living a healthy lifestyle. Rather than concealing your skin condition with makeup, make sure to treat your skin.